Beauty comes with health, and health comes from a good diet. If you’re dreaming to have the face of the year, you need to start thinking about fruits. With millions of benefits for your entire body and its organs, fresh fruits essentially heal your skin cells and make you look naturally younger and more graceful. With all the colors and flavors of the world, these 7 fruits are the shortest tunnel towards a beautifully glowing skin. Delicious to your taste buds, and gentle to your skin this particular food combines various nutrients into a must-have meal for a happier, healthier and more beautiful personality. Already read and grasped many times how an apple a day keeps the doctor away. 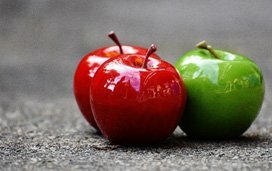 The predominantly loved red and green apples can also be good for the apples on your face being a rich source of vitamins A, B, C, and E. Also, the antioxidant nutrients in apples protect the skin from cellular damages and the skin of the fruit helps balance skin oils, prevents dryness, acne, blackheads, and whiteheads with a rich amount of estrogen. Apple is also good as an anti-aging food as it contains elastin and just the right amount of collagen to keep wrinkles and dark circles miles away from your face. 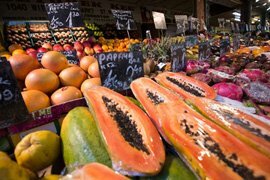 Papayas are rich in vitamins A, C, and magnesium. They are extremely generous to the skin with their richness in carotenoids. Carotenoids have all the abilities to protect your skin from the harshness of sunlight. The higher the proportion of these carotenoids in your skin tissues, the more sun-protected they are. Papayas are quick to dissolve the nutrients and boost their flow in blood that circulates around your body and nourishes your skin. 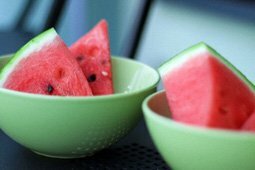 Watermelons, the love of our life gives us soft glowing skin and that’s the best news you must have heard so far. Drink some watermelon juice every now and then ensuring to keep raw. Don’t throw away the pulp, make a quick mask out of it and apply directly onto your face for best results. These miracle melons are full of vitamin A, B6, and C along with amino acids and lycopene and all of these super nutrients provide healthy skin. 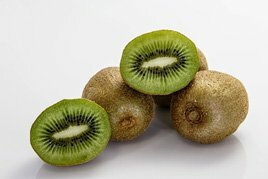 Let’s talk about the secret first that kiwis have more vitamins hidden inside the shell compared to the pulp. They are rich in vitamins C, E and antioxidants that help in keeping you safe from the sun, reduce dark circles and fight acne. Its antioxidant compound can be best utilized by elderly women to keep the wrinkles away. The best snack to take anywhere and everywhere, bananas are most loved for their mess-free nature. As easy to grab and eat, is also rich in Potassium, Fiber and vitamins A and C. Additionally, bananas can heal bruises and can be used to soothe mosquito bites. All you need to do is rub the banana peel directly on the affected area and enjoy the fruit while it continues to do wonders. 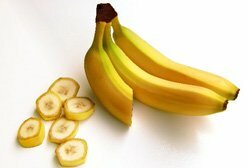 Bonus: Bananas are natural moisturizer fighting wrinkles and making you look youthful. Strawberries protect against UV rays and hyper-pigmentation. The story doesn’t end here, they also slow down skin’s aging process and are strong anti-inflammatory action figures. All of this is possible with its richness in vitamin C, polyphenols and antioxidants. 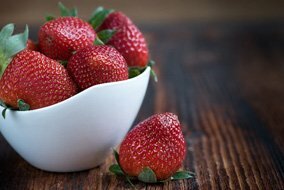 Strawberries when applied directly or eaten raw, help in lightening the skin tone. Very tiny with big benefits – blueberries are rich in nutrients and a reliable source of vitamins A and C, along with fiber and antioxidants. Studies reveal that this tiny berry contains even more antioxidants than green tea leaves. 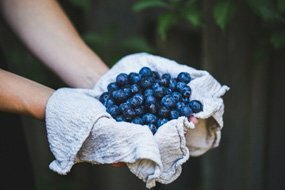 That’s not it, Blueberries are also good for people struggling with acne and elderly people to fight the aging process of their skin. Fruits are a blessing in their own unique way. They regulate metabolism and give us the energy to deal with the day. Along with the many health benefits, these seven fruits contribute to give a healthy and glowing skin. Next time while making your plate of snacks, don’t forget to shove some berries and bananas inside. Add all of these seven fruits for prettier skin, healthier body, and more satisfied tummy. Stay connected to get more related articles for a healthier, prettier and better living.